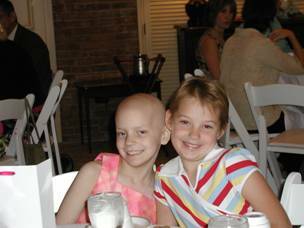 One of the more cruel parts of this horrible disease of cancer is that some kids relapse and must go back for treatment again. The letdown is tremendous, having beaten the disease only to find out you must go back into treatment and continue fighting. The mental and physical anguish that this causes is why the Relapse Fund was set up. This is an extension of the Special Assistance program, with a substantial gift of $500 each time a child relapses. We hope this creates the same fond memories and excitement for the child. Having to go back a second or even third time can be very demoralizing, but we continue to provide the support they need to instill hope within themselves. If they can regain that hope and resolve, they have that much more of a chance to survive again and beat cancer once and for all.